Our Price Match Guarantee is a manual process. For a price match please call in your order. We can be reached M-F 8AM-11:30 & 12:30-4PM (Mountain Time--Note: we do not have daylight savings time in Arizona) at toll free 877.878.9349 (1.480.491.5283 from outside the United States). You may wish to Email the requested Price Match to sales@marineandreef.com prior to ordering so you will not need to wait for us to verify the competitor's offer. If you find a lower price from a legitimate online store, we will match the price. The price of the product includes the relevant shipping fees. Just compare our total price (item price + shipping & handling) to the total price of the other online store. The item must be in stock on both our website and the online store you are comparing prices with. We do not price match salt and substrate. Our Price Match Guarantee cannot be combined with other MarineAndReef.com special offers or coupon codes. 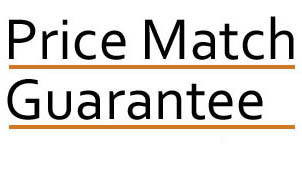 To qualify for our Price Match Guarantee, you must submit proof of the competitor's price prior to placing your order. All sales are final and we will not issue you a credit back for an order already processed and shipped. We will not honor another online store's advertised price if the price is clearly a typographical error. We will also not match a price if the other Web site is clearly not functional. We will only match prices with authorized online resellers in the United States. We will not match prices for used products or products sold on EBay, Craig's List or similar Web sites. MarineAndReef.com reserves the right to reject any price match that cannot be verified by proof acceptable to MarineAndReef.com in its sole discretion. 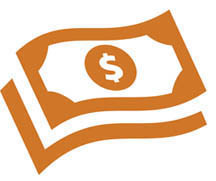 We reserve the right to modify or cancel the Price Match Guarantee at any time without prior notice. Any modification will be effective immediately upon posting of the modified Price Match Guarantee on this page.